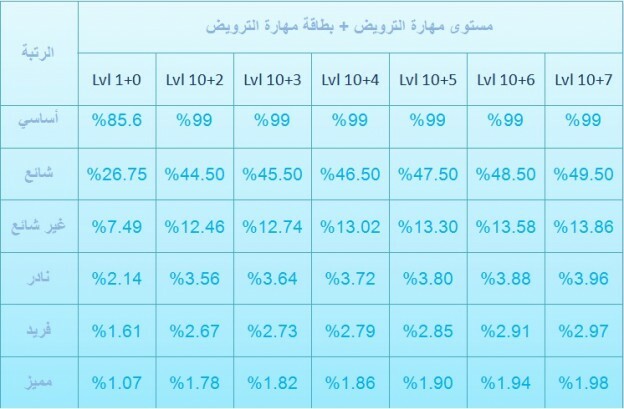 Source of the image: Arab Servers, tested by one of their GMs WAY back. According to my long-term-tame-stats, it seems to be a fairly accurate aproximation of what we really have. Also this means my level 14+5 taming gives me an impressive 2.18% taming chance on death tyrants, wds or arena pet. Even assuming the best believable interpretation of the summoning scrolls adding +50%, that would most likely be “half again”, so 3.27%… yay, totally likely I’ll go 2/5 on drillbots if I try, right? This entry was posted in Rappelz Knowledge on April 11, 2014 by WarlordAlexander. I’ve used the Free-Pro codes on all the accounts I had and probably a bit more new slave accounts than I will ever level. I also had a lot of regular Tpro in my WH + some sets from the vip passes on all sorts of arena pets. It did help that both drillbot and undine didn’t have the ridiculous 1 hour respawn and parked toons at various bosses. They are a bit easier to find alive on Uni. It is a bit of guess work, but I think I was around 7/220ish. Almost half of those tamed in the first 6. I used about 15 summon scrolls and all the tries were with tame scrolls. Tamed no undines at all, but that wasn’t for lack of trying. Drills went a lot better, but it might have helped that I was using a +7 on those. I’m not sure if you have similar stories about never taming in the rain, but I tamed 2 of my drills there so I’m not overly worried.